A library was planned as part of the new Administration building to be located on Baird Court (now Astor Court). This building was completed in 1910. And the Library remained there until it moved to the Center for Global Conservation, a short distance away, in 2009. At the same time that the Library opened in 1910, a member of the board of managers, Captain John S. Barnes, designed the lovely bookplate we still use today. 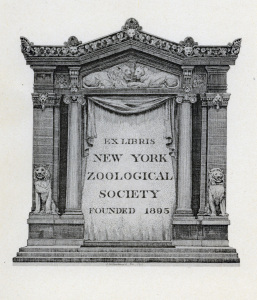 The names of the earliest librarians are unknown, although H. Ernestine Ripley worked closely with Hornaday and was known for compiling a bibliography of the works of Henry Fairfield Osborn, who served as president of the New York Zoological Society in the early 1900s as well as the head of the American Museum of Natural History. 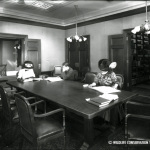 In the late 1970s, the Archives were created as part of the Library and a new librarian, also an archivist, was brought in to manage both collections. 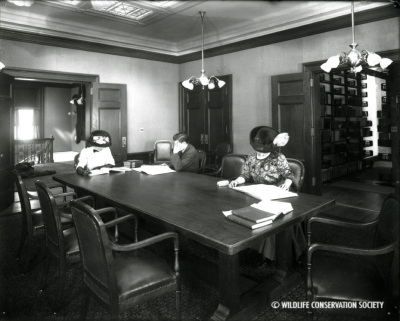 Steve Johnson created the basic Archives still existing today as well as providing library services to the growing staff of international conservation scientists in addition to the zoo and aquarium personnel. The WCS Library’s collection today still includes some of those titles that could be found in the early 1900s. 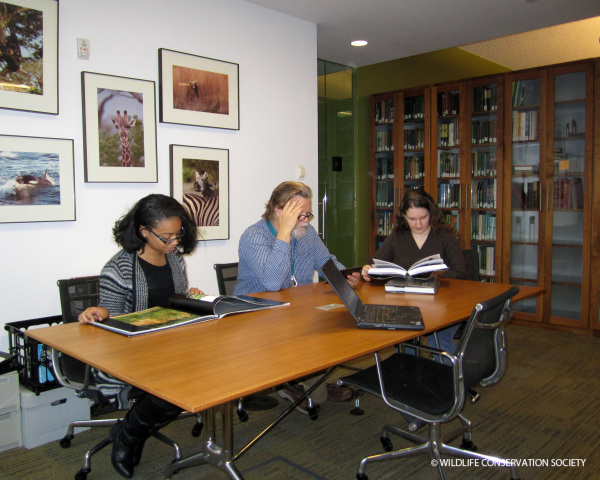 It is not “a complete reference library” on conservation. Cost, space, and the explosion of literature, both in print and online, make that goal difficult to achieve. But it continues its work to support WCS’s mission to save wildlife and wild places by offering access to several thousand books and over a thousand online journals, providing research services and training, and consulting with groups internally on managing information. We look forward to continuing the tradition established at the very beginning of this historic institution.